Kourtney Kardashian Responds to Kim Saying She "Doesn't Want to Be a Kardashian Anymore"
Is Kourtney Kardashian still feuding with sisters Kim Kardashian and Khloe Kardashian? 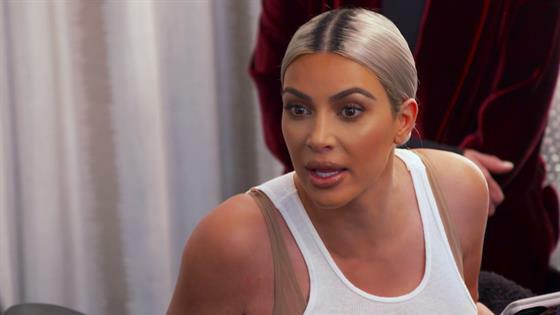 As fans have seen from promos and sneak peeks of Sunday's premiere of Keeping Up With the Kardashians, this season promises lots and lots of drama between the three siblings. "I think it started at the end of season 14, a lot of tension building between us," Kourt tells E! News exclusively of the family fighting. "I felt like every day almost I was being picked on and criticized and I just couldn't take it any more." Kourtney admits she's still working out her issues with Kim and Khloe. "Honestly, I think it's ongoing," the mom of three revealed. "I've been really working on myself a lot and I think through my growth, I'm better at expressing myself. I think in the past I've always been great at like not being emotional. I think that I'm better now at expressing my feelings. So I think this is ongoing. It's a lot of communication instead of letting things go back into the way that they were. It's definitely a process and you'll see it throughout the season." In one heated scene from the upcoming season, Kim tells Khloe, "She just doesn't want to be a Kardashian anymore!" Kourt laughed off Kim's line, telling E!, "I'm definitely proud to be a Kardashian." Kourt added, "I was watching that moment and I was like, 'Are they talking about me?!'" Kim and Khloe aside, Kourtney says she's been able to lean on her favorite sister during tough times. Who's that you ask? "Kendall because we're just like really best friends," Kourt said. "We're on the same wavelength. Like we like the same stuff, we like to do the same stuff. We have good conversations, we have fun together, there's no drama with us. Kendall has my back in this season, you'll see. When I was watching some cuts, I see my sisters talking about me and I obviously have no idea because I wasn't there and I'm like, ‘What?! They're saying this about me?' And then Kendall has my back."